2020 IS ON THE HORIZON. HOW WILL YOU MAXIMIZE THE NEXT THREE TO FIVE YEARS OF YOUR LEADERSHIP? 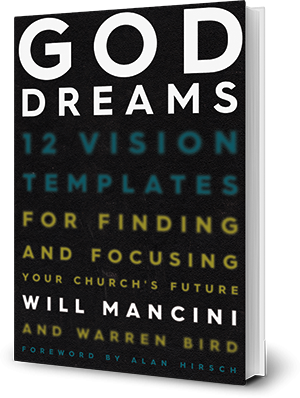 There has never been a better time to schedule a two-day God Dreams retreat. Imagine an engaging time that brings energy and enthusiasm to your team like never before. You will have an experienced full-time facilitator who has also led as a pastor in a church your size or larger. Leadership teams report unprecedented progress in these two 3/4 days compared to previous planning retreats.